it was awesome. i wanted to take home like 3 pies, and pleaded to chad "when will we ever come back?!" but we decided for the sake of convince we wouldn't get a pie (we had over a 3 hour drive back home and they needed to be refrigerated). but you bet your bottom dollar i will be back soon! 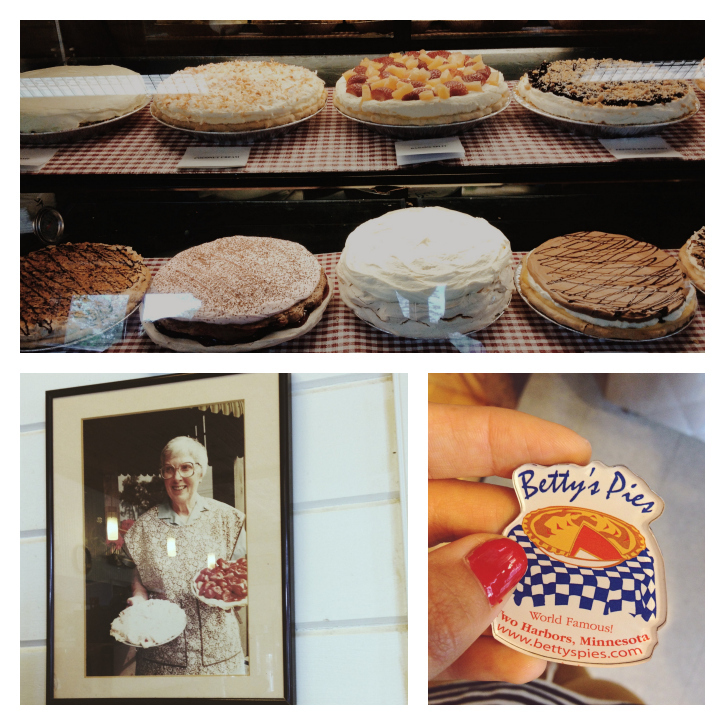 thanks betty's pies for making the best pies in the state! Yum! This looks like quite the perfect place for pie! I can honestly say I've never had a desire to visit Minnesota until now :) Looks amazing! I'm a dessert lover and pie just has a special place in my belly. 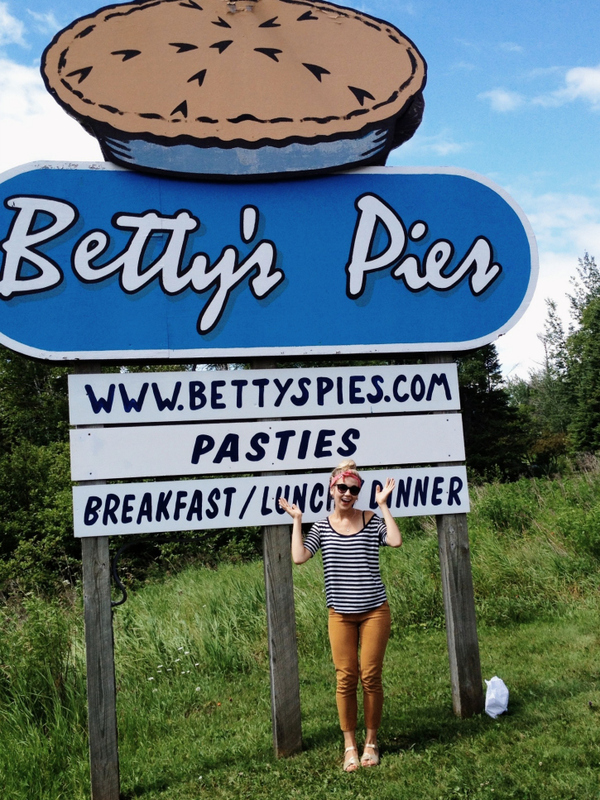 oh my gosh that photo in front of the pie sign is so cute! this looks amazing. now i need an excuse to go to Minnesota. What a great place! We have a similar one in Sandpoint, ID - it's called The Pie Hut. They have all kinds of pies and serve awesome lunches!